Titled The Epic Scale of Need for Speed: The Run, a new preview up on IGN reveals a bit more about the game with the coolest things being a new trailer (shown above) that shows a never before seen part of the world and a short video preview for those who don't have time to read the whole thing. The game is starting to look more appealng. I saw a Nissan GTR R32 & a Camaro from the 80's. looks like a nice car list so far. I also didnt mention the other supercars so theres a couple others in the video. nfs hp rip off without excessive drifting?? Thank You 4 the Article Info and the Update... I think this Run will be a B!T harder than Pro Street! Well... there must be another Trailer comming... because everything is locked in July on NFS.com! And what is that GT3, could it be they'll include the fastest version of it? And the ending was funny. A GT3 barely overtaking the R32. What went wrong with The RUN 's Driver before?!? 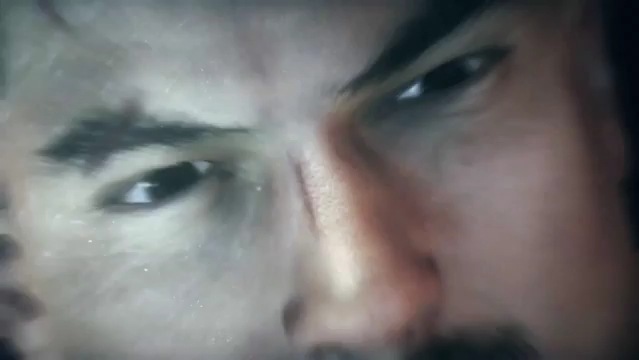 I hope the Story will shown in another Trailer soon! I do like that the game doesn't just take place in a city and that there are some other different environments too. Although I think that the jump was exaggerated a bit. I also think that was a Firebird in the video and, there was even a Lotus Evora, but, I don't really know of any new MP4-12C, perhaps you mistook it for the Evora? Graphically it remembers me of Hot Pursuit. Looks very good, I like it. I hope it runs well. As for the driving, again it remembers me of Hot Pursuit but without the drifting. I hope the game supports a racing wheel, HP was way better with a wheel than with a keyboard. I had much more fun, even though it was arcade. The wheel really improved the handling and the "quality" of the driving. Good bunch of cars there. Subaru Impreza WRX STI, Nissan Skyline GT-R (R32), Lamborghini Gallardo LP550-2 Valentino Balboni (at least it looks so because of the rims, lack of rear spoiler and what looks like a stripe in the back), and a Lotus Evora. The Porsche looks good though, I just can't see which model is. GT3 RS or something like that. And yes, that's a Pontiac Firebird at 0:43. Looks like a second generation Trans Am to me (1978 maybe). You can clearly see the hood at 1:21 and that's the hood of a Trans Am. Hydro_PT wrote: Graphically it remembers me of Hot Pursuit. Looks very good, I like it. I hope it runs well. As for the driving, again it remembers me of Hot Pursuit but without the drifting. I agree with you in both cases. The driving does appear to be semi-realistic just like Hot Pursuit and the fact that the game looks like Hot Pursuit is a very good thing indeed. There is one thing that I find slightly strange, why does it take so much effort for a Porsche 911 GT3 RS 4.0 to overtake all the Imprezas', Skylines' and Firebirds' when it makes 500 hp? Well yeah i laughed a bit after seeing the ending, at first i was wondering if he would win, then i see...Skyline R32? I guess it was more like "overtake them all within a distance limit" than a real race, most of those cars were not as fast as the GT3, except the Lambo, and maybe Lotus. That said im happy to see there's no drifting in every corner. I couldn't stand doing that with a Nissan GT-R or any other AWD car...or all those exotics actually. Racemaniac wrote: There is one thing that I find slightly strange, why does it take so much effort for a Porsche 911 GT3 RS 4.0 to overtake all the Imprezas', Skylines' and Firebirds' when it makes 500 hp? Well the game isn't supposed to be that realistic, and like ElvenAvenger is saying, this is more "overtake them all withing a distance limit" than an actual race. All those cars are supposed to be challenging opponents for the player, so probably that's why they are faster. Either that or The Run will have engine updates and that kind of stuff. Btw thanks for noticing what Porsche was that. I tried to look at the badge on the trunk but the quality isn't much (even at 720p) and sometimes the badge just disappears. I didn't know about that Porsche, looks very nice though. But then, all 911 GT3 look very nice to me. "and the MK1 might have its use in some alleyways during events taking place in a city." ElvenAvenger wrote: I guess it was more like "overtake them all within a distance limit" than a real race, most of those cars were not as fast as the GT3, except the Lambo, and maybe Lotus. Probably that, but it could also be that when you start the race the last few cars to overtake are already through a quarter of the course or something. Wait, aren't both of them the same? And, if memory serves me correct, the Evora makes around 300 hp. Well, my original estimate is a bit off as Wikipedia shows 276 hp for the non-supercharged engine and 345 hp for the supercharged one. 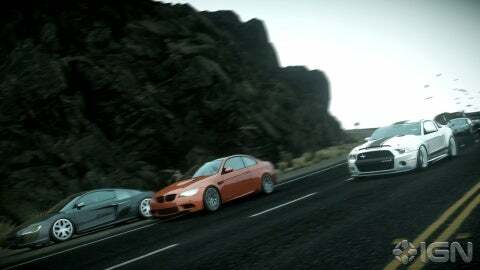 Hydro_PT wrote: All those cars are supposed to be challenging opponents for the player, so probably that's why they are faster. Yeah, they probably have made them faster to make it challenging. By engine updates you're referring to the car engine right? Hydro_PT wrote: Btw thanks for noticing what Porsche was that. I tried to look at the badge on the trunk but the quality isn't much (even at 720p) and sometimes the badge just disappears. I didn't know about that Porsche, looks very nice though. But then, all 911 GT3 look very nice to me. You're welcome, I figured it out by putting it at 720p and then putting it on fullscreen. I noticed that the badge didn't look like "GT3 RS" which is what is usually present and I could make out "RS 4.0" written. I'd read about this car in Top Gear recently and it is the last version of the current generation of 911s, the 997. It's going to be a blast to drive in the game. Lastly, I'm sorry if the post was too long and you didn't read most or all of it. But then again, I think this is pretty good for a 200th post. Hydro_PT wrote: There is one thing that I find slightly strange, why does it take so much effort for a Porsche 911 GT3 RS 4.0 to overtake all the Imprezas', Skylines' and Firebirds' when it makes 500 hp? But I thought rubberbanding was the AI keeping up with you after you had overtaken them? Or is this also considered rubberbanding? Oh, and you got the quotes mixed up.